Gamers interested in learning more about the performance enhancements across the latest games consoles from Sony and Microsoft in the form of the Xbox One X and PlayStation 4 Pro and how these stack up against PC graphics when playing the highly controversial Star Wars Battlefront 2 game released by EA this month. May be interested in a new video compiled by the team over at Digital Foundry which provides a comparison on how the Frostbite Engine scale across Xbox One X, PS4 Pro and PC. Check out the video embedded below for an in-depth graphics comparison and performance analysis with all hardware set to 4K Ultra HD output. 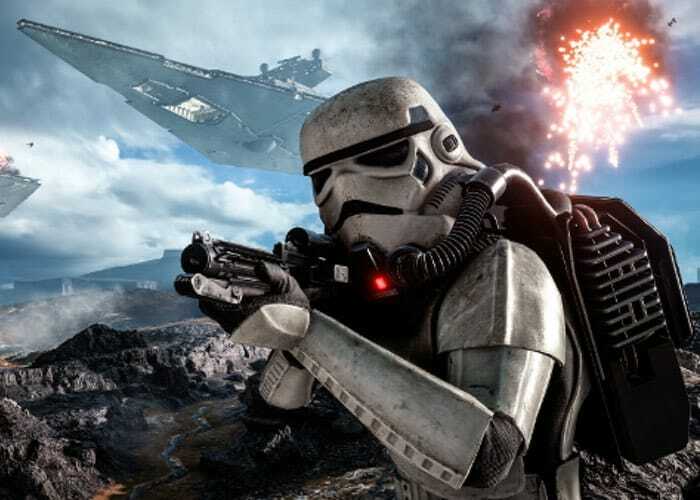 Star Wars Battlefront 2 launched earlier this month on November 17th, 2017 and is available to play on PC, PlayStation 4 and Xbox One but has received widespread criticism regards the loot box mechanics that EA has implemented. Allowing players to spend cash to have instant gaming advantages over other players as well as removing the benefits of skill when it comes to rewards. If you’re interested in learning more about the Star Wars Battlefront 2 loot box fiasco check out the video embedded below for an overview on all the news. Star Wars Battlefront II features a single-player story mode, a customizable character class system, and content based on The Force Awakens and The Last Jedi movies and features vehicles and locations from the original, prequel, and sequel Star Wars movie trilogies.